1. Aromatherapy 101: The Science of Essential Oils. Use Aromatherapy Like a Pro My favorite posts are informative ones requiring loads of research! I'm going to keep sharing information learned from my detailed medical aromatherapy coursework. 2. My Kon Mari Journey: A Method to Organize Your Home Once- And Never Again + FAQ + Results: I HIGHLY recommend the KonMari method for EVERYONE. It is truly transformative for your home and thought process! My full home tour post 2nd run-through of the method is coming soon. 3. The Art of Sampuru: Contemplating Hyper Realistic Sample Food Displays in Japan Thinking deep on my favorite art style, pop art. And a lifelong love of kitschy fake food. 5. $2 Woodgrain Photography Backdrop DIY And my 2nd favorite DIYS are stupid-easy, stupid-cheap but very useful. I get a lot of use out of my cheap backdrops. 6. Reader Question: How to You Plan, Write, and Organize Blog Posts Methodically I love going through my writing process. Editing is my calling. 7. MODify: My $5.00 Thrifted and Upcycled Home Vegan Bulk and Apothecary Shelf Something simple I utilize daily. Was featured on HGTV.com, too, funny enough! 8. The Best Damn Dinosaur Soap You've Ever Seen! + Colorful Chakra Soaps I LOVE making our soaps and natural body care products. Can't wait to share our shop! We've got to produce, first! 9. Try This Exercise To Learn What You Truly Want to Do With Your Life. For Really. 10. My Herbalism School Experience: My learning and experimenting on this topic will be lifelong, but it was nice to finally share some of the crazy learning and research always going on behind-the-scenes. 11. My Top 22 Tools for Digital Making It was fun to wrangle these up. 12. Thunderbird Inn My friend Jill kindly took Amber and I to Savannah Georgia for the first time. Love the city, can't wait to go back. 14. 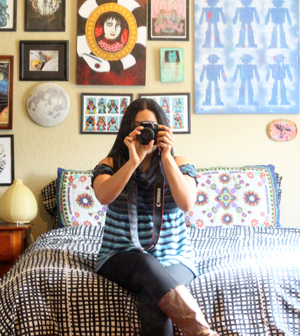 Peek Inside the Groovy Land Home! Artist/Hippie family homes are always the coziest + Peek Inside Natasha's Cozy California Casa for good measure! 16. Vegan Popcorn Balls + Tea Blend Gift + Fall Lattes : I had fun photographing (and consuming) these! Tea blending is a huge passion of mine that'll pop up in future posts. 17. My Herb Allies: Herbs You Need to Try for Health and Taste Looking at stats and seeing this was one of the top-viewed posts for the year was a pleasant surprise! 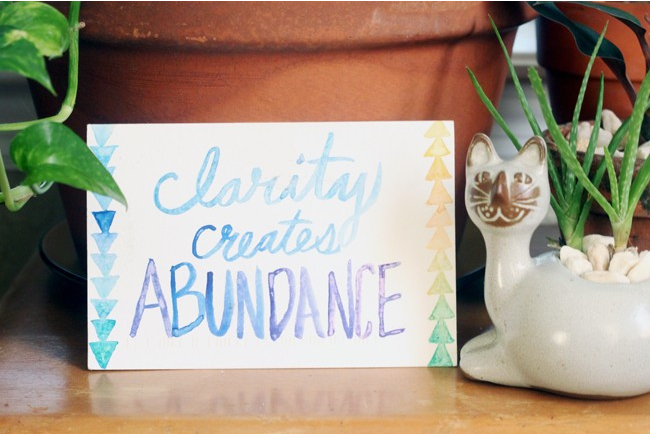 (1) Guides for Organizing Your "Everything": Home, Schedule, Money, Cleaning, LIFE! (5) Master Gardener Seed Starting Tips: Save Money on Pricey Greens, Herbs, and Veggies. Grow Your Own. I'm inspired to cut the fat and continue with informative posts... and also just letting loose and sharing behind-the-scenes easy posts too for the sake of my sanity! Ha! :D Thank you for reading in 2015, and I'm happy you're here for 2016! It's great to recap and see that you're heading in the right direction :) Looking forward to more informative posts! Thanks for reading along Chelsey! I'm always inspired to keep improving. What a clever idea for a post!! Recapping is awesome! What a huge collection of interesting posts! Oh yeah I met Vix via your blog, I'm now following her blog since then... love her attitude!! Happy new year dear van! I almost did a round-up of my movie reviews too. I hope it's not too eclectic! Trying to reign it in is hard. I love seeing Vix's hard work, passion for vintage and awesome attitude on her blog, too :) I want a collection of vintage clothes as nice as hers one day. Thanks Nancy! :) Same to you.